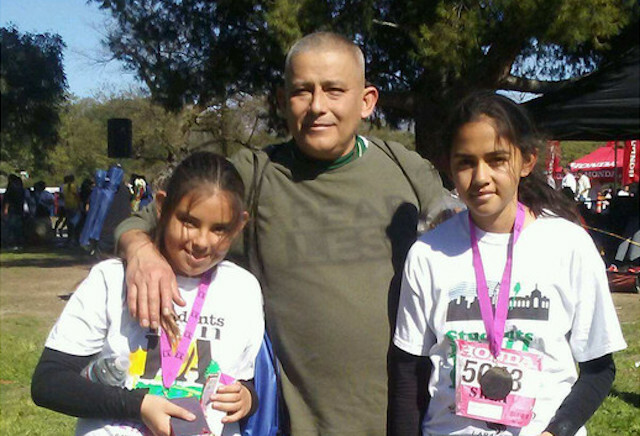 On Thursday afternoon, the country&apos;s top immigration appeals court vacated the deportation order for Romulo Avelica-Gonzalez, a Los Angeles father who was arrested by federal immigration authorities while dropping his daughters off at school in February. Avelica-Gonzalez&apos;s arrest by Immigrations and Customs Enforcement officials was filmed by his sobbing daughter; the video went viral, bringing international attention to his case. The 49-year-old father of four U.S. citizen children had faced imminent deportation after a Ninth Circuit Court of Appeals stay that had previously been in place expired on Monday. The Board of Immigration Appeals, however, granted Avelica-Gonzalez an emergency stay of deportation on Monday, which protected him from being deported until they reviewed his case. On Thursday, the board elected to throw out the final deportation order that had been in place for Avelica-Gonzalez, meaning his case will return to local immigration court—a process that could take years. Avelica-Gonzalez has been detained at the Adelanto Detention Facility in the high desert near Victorville since his February arrest. He will be eligible for release on bond at his next hearing on August 30. Avelica-Gonzalez&apos;s family is "very relieved and very excited" about the news, according to Ricardo Mireles, executive director of Academia Avance, a charter school in Highland Park attended by two of Avelica-Gonzalez&apos;s daughters. "Obviously, they&apos;d like for him to be released today, but the hearing is set for August 30th and we&apos;re ready to keep pushing the message for another two weeks," Mireles told LAist. "These five months have felt like five years,” Avelica-Gonzalez told the L.A. Times in an interview from Adelanto last Friday.